Sloane Bibb creates textured, three-dimensional artwork that incorporates found objects like speedometers, license plates and cutouts from old magazines layered on wood. 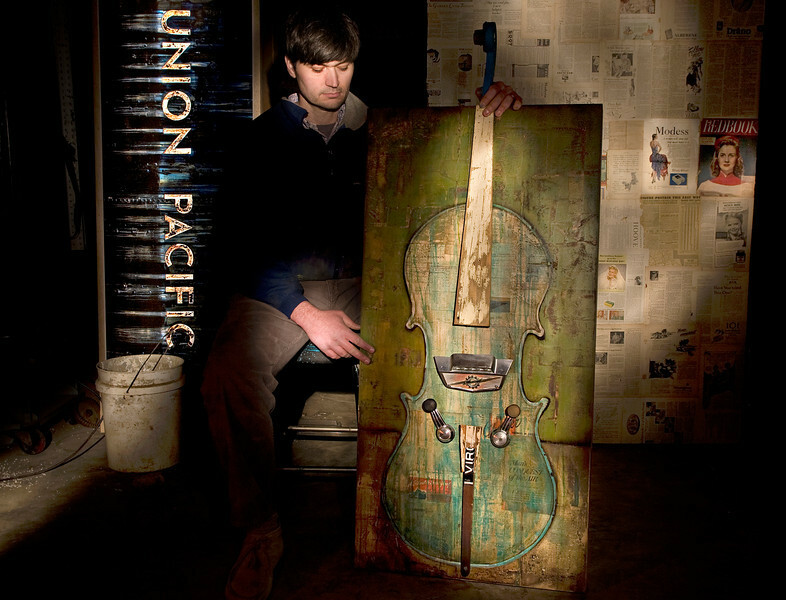 Photographed with his latest work in progress, a cello featuring old car parts, at his workshop in Decatur. (Photographer's note: this picture is the result of a 15-second exposure using a flashlight to selectively "paint" diferent areas of the frame).